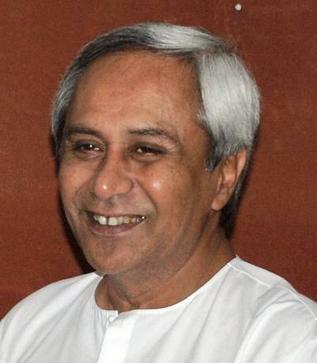 TNI Bureau: As part of his endeavour to reach out to the masses in Odisha after Pyari Mohan Mohapatra’s exit, Odisha Chief Minister Naveen Patnaik has made a hectic tour of Nabarangpur district and inaugurated a number of projects and centres. He was accompanied by Minister of Sports and Youth Services and Science & Technology, Shri Ramesh Chandra Majhi, Umerkote MLA Subas Gond and Nabarangpur MLA Manohar Randhari. At Chandahandi, Naveen inaguruated the new Tehsil Office building. He also unveiled the Bharat Nirman Rajiv Gandhi Seva Kendra and held a general meeting. The CM then proceeded to Jharigam and inaugurated the SC/ST Girls’ Hostel at Chacha. He also laid foundation stones for a Girl’s High School. Chief Minister Naveen Patnaik inagurated the new Sports Stadium in Umerkote and provided assistance to various beneficiaries. In Dabugoan, he inaugurated a bridge over the Bhaskel River on Borigam-Ghodakhunta road. Later, the CM visited Debraguda in Nabarangpur and laid the foundation stone of Biju Setu being planned on Turi River. He also distributed cash assistance to beneficiaries in various schemes. In the afternoon, the Chief Minister visited Nandahandi block and laid the foundation stones of Paraja Miniguda and Bangalaguda barrage in Nishanhandi. He also laid the foundation stone of large lift irrigation project at Paraja Miniguda. It would provide water supply to 4,000 hectares of land for Rabi and Kharif cultivation and help the people to get rid of the water crisis in summer. Consumers in Odisha bracing for Steep Power Tariff Hike!